David Ray is a senior media, digital and business development executive with extensive strategy, commercial, product, marketing, technology, legal and content rights experience. David’s career has focused on building digital and mobile businesses end-to-end, binding strategy creation and implementation with ongoing commercial management. David has held executive roles at local and global digital media companies, most recently as the Director of Audiences and Growth for Twitter Australia. At Twitter David was responsible for creating and implementing the country strategy and business plan, driving the delivery of audience and commercial targets. David was also part of Twitter’s global live rights team, which led Twitter’s drive into live streaming of sports, entertainment, news and politics. 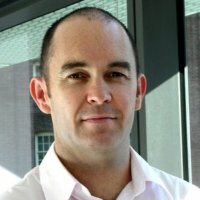 Prior to Twitter, as General Manager NRL Digital Media, David led the business case, negotiation and implementation of Telstra’s partnership investment in the National Rugby League. Under David’s stewardship, NRL Digital Media launched over 100 digital products to market across online, apps, mobile, video and IPTV channels, achieving significant commercial success and record audiences.